I Always Look at Road Kill :-(	Perverting the Gospel of Christ…BEWARE! Oops….Shouldn’t this be our Father which art in heaven? Many people ask questions on Google and find their way to my blog…and that’s great. Some people do bible searches(like me) and some people need help. God is available to answer questions and is more available than Google. Two of my most viewed blogs are “I’m going to kill myself and I am so stupid.” I entitled it that way to draw people to my blog who are suffering in those areas so that I can share the Good News of hope which is Jesus Christ. On my blog I’m able to see what people Google to get to my blog and it’s surprising to see so many people seeking God and answers to their lives through Google. There are a lot of good spiritual resources out there. There is also a lot of very bad religious advice and false biblical doctrine too. Needless to say the internet can be bad and can be good. One thing is for sure…seeking God for guidance and your problems is the best thing you can do for yourself. The difference between God and Google( besides God being omnipotent and having all power) is that you can get blessings, answered prayer, forgiveness, healing, financial help,love and even eternal life. I’m in no way saying to stop using Google….I use it all day every day…I’m just saying don’t forget to talk to God first. 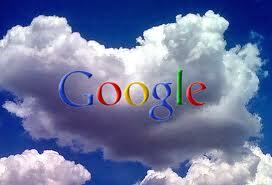 Message for today: Google is great…God is….awesome!!!! Psalms 147:5 Great is our Lord and mighty in power; his understanding has no limit. Our greatest resource is Almighty God… our Father.